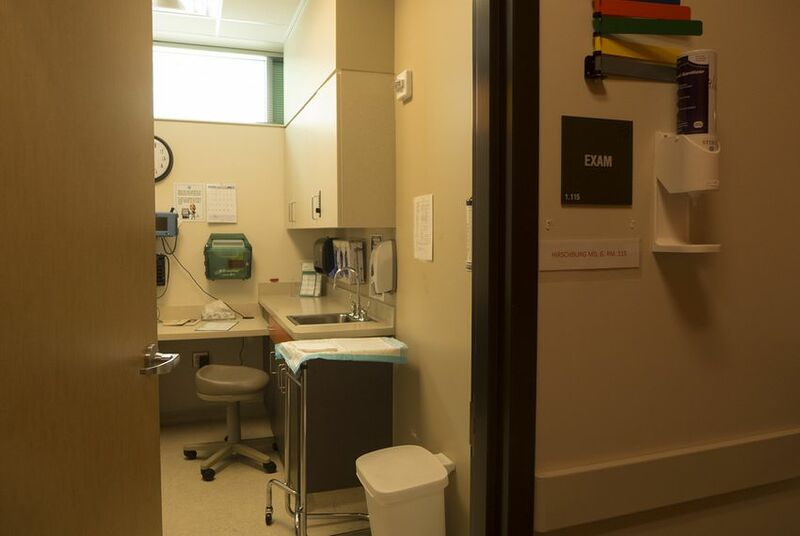 Texas is one of nearly two dozen states changing their Medicaid programs to pay hospitals for inserting an IUD or contraceptive implant in the delivery room. Peggy Wall, a family nurse practitioner at an Austin community health center, treats many women in their 40s, who already have a family and find themselves confronting an accidental pregnancy. Many, she says, wish they had taken preventive steps after their last child was born and could be good candidates for getting an intrauterine device in the delivery room immediately after giving birth. Until recently, that sort of IUD access has been difficult to come by. Nationally, about half of pregnancies are unintended. And Texas is one of nearly two dozen states changing their Medicaid programs, the federal-state insurance plan for the disabled, poor children and the lowest-income people, to pay hospitals for inserting an IUD or contraceptive implant in the delivery room. In the past, most Medicaid programs generally offered a set payment for labor and delivery and didn’t include an option for payment for the IUD insertion. So far, 20 states plus the District of Columbia are promoting the option, while others such as Oregon, Pennsylvania and Tennessee are considering it. The federal Centers for Medicare & Medicaid Services this spring began urging states to adopt the payment practice. The Centers for Disease Control and Prevention has singled out immediate post-partum insertion of long acting birth control as key to curbing unintended pregnancy. Organizations such as the American College of Obstetricians and Gynecologists (ACOG) and the Association for State and Territorial Health Officers are also on board. “It just makes so much sense – from a patient-care standpoint and from a dollars standpoint,” said Melissa Gerber, president of AccessMatters, a Pennsylvania-based organization advocating for the change there. Only recently have IUDs, which are reversible and 99 percent effective, come into vogue among public health experts. But the high price tag has kept many people from using the devices, which can cost nearly $1,000 upfront even though hormonal ones last for up to six years. Many patients and doctors also remain skittish because of residual fear after the Dalkon Shield caused health problems for many women in the 1970s. That’s one of the reasons why many doctors never learned to insert the devices or counsel patients about them, even though current versions of the device don’t bring those same health risks. Younger OB/GYNs are more likely to be familiar with IUDs, but even they often aren’t fluent in the post-labor procedure, which is done as soon as 10 minutes after delivery. It isn’t difficult, experts said, but is different. Until recently, doctors usually waited to discuss an IUD or implant until a woman’s first postnatal checkup, six weeks after delivery. But between 10 percent and 40 percent of women never show up for this exam. In Travis County, which includes Austin, it’s more like 60 percent for women on Medicaid, estimated Ted Held, director of reproductive health at People’s Community Clinic. That is why the delivery room option is viewed by many as an opportunity. But for this approach to have an impact, local governments, hospitals and doctors all need to make extra effort. That means training doctors, adapting hospital infrastructures and ensuring patients get proper counseling – so that they get the contraception treatment only if they want it and can have a device removed if they change their mind. “This is too fresh. Too new. Everyone is trying to figure it out,” said Stephanie Teal, a professor of obstetrics and gynecology at the University of Colorado in Aurora, who helped lead that state’s efforts. Still, getting health care providers trained in the process is important. Data is limited, but surveys in Colorado suggest doctors and midwives responsible for delivery often aren’t comfortable performing the immediate postpartum procedure. Similar findings have been documented in Massachusetts. “There is definitely going to be a need for training,” said Michelle Moniz, an assistant professor of obstetrics and gynecology at the University of Michigan, who has researched the subject. Texas has created a training toolkit that hospitals can use to educate their medical staffs. ACOG is sending doctors around the country to do the same. But without such instruction – particularly when it comes to sensitive, thorough counseling about the device’s benefits, without pressing it upon patients – the post-delivery IUD cannot be a clinical option, Held said. But many hospitals – especially rural ones – don’t have the time or resources to take this on, noted Daniel Grossman, an obstetrician-gynecologist at the University of California-San Francisco who researches reproductive health. Smaller facilities without medical residency programs may struggle in building a critical mass of knowledgeable doctors. Buying IUDs upfront and keeping them on hand can pose a financial burden, even if Medicaid dollars will eventually come through. Meanwhile, Catholic hospitals, which typically treat a significant number of low-income patients, don’t provide birth control in-house. For states making IUDs quick and convenient, Teal said, that poses a hurdle. “Catholic hospitals do put up barriers – that’s the elephant in the room,” she said. Follow-up care also can be of concern if women later want to get pregnant and need the device removed or have other complications that require medical attention. They may lose access to care thanks to income switches or other life changes, and many are no longer eligible for Medicaid after their pregnancy is over. But still, advocates see promise. In South Carolina, which made the switch in 2012, in-hospital insertions of IUDs and implants increased by more than 100 percent between the 2013 and 2015 fiscal years, when that state revised the Medicaid reimbursement, according to data tracked by the state health officers’ association. Delaware saw 271 insertions between March 2015, when it made this adjustment, and this past August. Texas has seen an “unusual,” dramatic increase in the number of women who died from pregnancy-related causes in the last five years, according to a new study. A group led by an anti-abortion advocate received $1.6 million in state funding from a program recently created to help women find health care services paid for by the state. Every year, more than 100 new OB-GYNs graduate from a Texas residency program. But the closure of abortion clinics across Texas — more than 20 since 2013 — has made their training increasingly difficult.